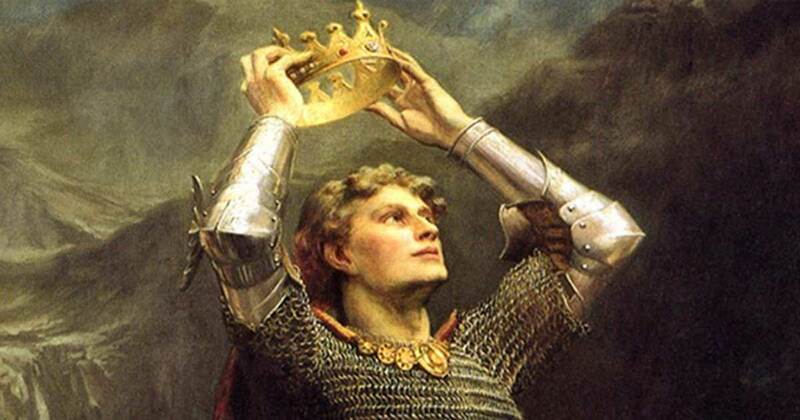 A British archaeologist has controversially claimed that King Arthur was not a real historical figure. Rather, the legendary warrior king was created as a “Celtic superhero” and in reality, was nothing more than an amalgamation of the lives of five real-life warlords. King Arthur a Creation of Several Real-life Kings? Traditionally, Arthur is believed to have led the British when they defeated an invading Saxon army at the legendary Battle of Badon sometime between 490 and 520AD. However, archaeologist and senior lecturer at Bournemouth University, Miles Russell, strongly believes that the greatest warrior king in British history, is basically a fictional creation of five real-life warlords. “When you start to look at King Arthur in detail you realize that he is an amalgam of at least five separate characters — he never existed as an independent person at all,” Dr. Russell tells The Times . This is not the first time a respected scholar has claimed that Arthur was a fictional character. As previously reported by Liz Leafloor for Ancient Origins , the epic legends of King Arthur and his Round Table, among other ancient myths, may have been nothing more than fictional stories made up and peddled by enterprising monks at Glastonbury Abbey to make some money. What’s more, these legends muddied modern research into the site by “clouding the judgement” of past experts. Archaeologists went on claiming that the Glastonbury monks clouded the history of the site by deliberately designing renovations after a fire in 1184. The redesign was said to have employed a purposeful archaic architectural style to generate a mythical feel, supporting popular legends and thereby raising more money from eager pilgrims. In addition, Arthur’s supposed grave has been revealed as a cemetery pit containing material dating from between the 11th and 15th centuries, offering no evidential links to the era of the legendary 5th and 6th century leader. Dr. Russell explains that he came to his conclusion after studying “A History of the Kings of Britain,” written by Geoffrey of Monmouth in 1136, and other medieval texts. “Geoffrey’s book itself derives from a series of myths, stories and bardic praise poems that go back to the first century BC, at a time just before Britain became part of the Roman Empire,” Russell stated in a press release . Initially, Dr. Russell noticed the obvious similarities between Arthur and Ambrosius Aurelianus, a leader of the Roman-British population in the fifth century. In the most contemporary account of the period, when Arthur was thought to exist, a British monk Gildas writing around 540AD in a scathing attack on the native Britons, names Ambrosius as the leader who leads the fight against the Saxon. What’s even more suspicious is that Gildas does not mention Arthur at all. Other than Ambrosius Aurelianus, Dr. Russell cites Roman general Magnus Maximus, Byzantine Emperor Constantine the Great, and prehistoric warlords Arvirargus and Cassivellaunus as clear sources of inspiration for the creation of Arthur’s fictional character, “Once you take all these elements of his story away, there’s actually nothing left for Arthur,” Russell said as Bournemouth University’s official website reports . 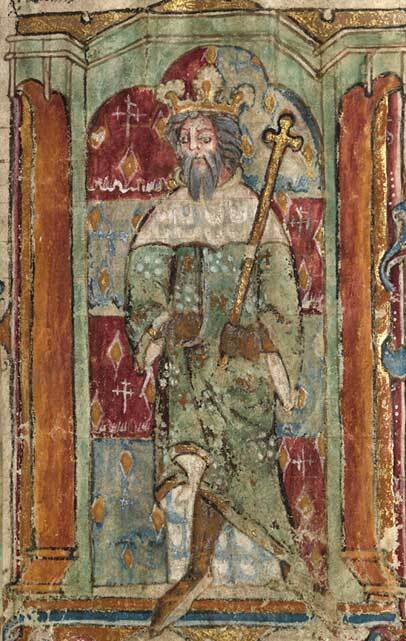 And added, “He’s an echo of all these other individuals – what Geoffrey of Monmouth did was create a Celtic superhero for his times, a character for the Britons to celebrate, taken from all the best bits of those individuals who lived before." Dr. Russell presented his findings at the BBC History Magazine Conference at the Great Hall in Winchester on Saturday 7 October, while his book Arthur and the Kings of Britain: the historical truth behind the myths is out now, published by Amberley. Can’t believe I forgot the Cornish chough when mentioning King Arthur, kinda disappointed in myself now, how could I forget the chough? For a tale that was set in Cornwall, people make a good job of erasing Cornwall out of the picture. And thats not to say there wasn’t a Cornish miracle play based on an Arthur written at Glasney College. And what about Lyonesse and Tristan and Iseult? Not to mention what they did in the numerous plen-an-gwary lying around Cornwall.